Alphayue, that‘s the number one choice for young, aspiring artists. Combining an unbeatable price with Thomastik-Infeld quality means you no longer have to settle for solid-steel strings to assure durability. Their advan ced syn thetic core delivers a rich, colorful sound impossible to achieve with solid steel core strings. They live a long and powerful life and are unaffected by temperature and humidity changes. 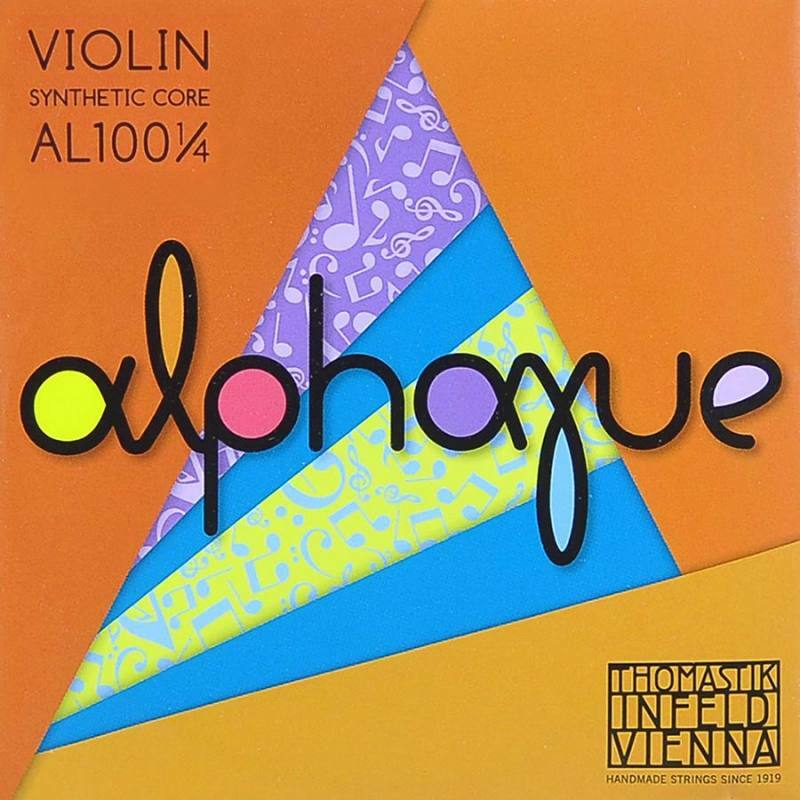 Alphayue strings sound great, quickly perk up to their colorful potential, stay in tune and have a forgiving nature. They improve the sound of even the most basic student instruments, thus the sound of your orchestra as well. You will love their instant response, supple playa bility and colorful tone. Alphayue’s make practicing more fun and music-making a treat! With their versatile sound spectrum Alphayue’s feel at home in the most diverse music genres and speak the language you choose! Enjoy playing and exploring your talents while becoming the best violinist you can be.